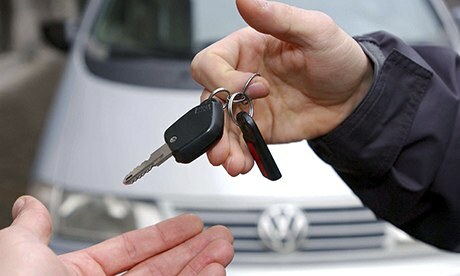 Lending someone else your car is a big exercise in trust. Except for possibly your home, your car is probably the most expensive thing that you own, so it takes a lot to make the decision to let someone else get in the driver’s seat. You might think it’s a matter of how much you trust the person who wants to borrow your car, but in reality there is an awful lot that you need to consider before lending your wheels to someone else. Here are just a few of the things that you should consider. Naturally, this is the first thing that crosses most minds when someone asks if they can borrow a vehicle. And it is absolutely worthwhile. It makes much more sense to let your friend who always sticks to the speed limit drive your car, than your brother who has two wrecks to his name and a number of speeding tickets. You might want to go for a test drive with them, or at the very least make sure that their licence is valid! However, be careful if you are going to allow some people to borrow your car and deny others–this is the stuff that can change friendships for good! Who is willing to pay up? If a friend is driving your vehicle and gets into an accident, there is a good chance that you will end up paying the insurance deductibles. Insurance usually covers the vehicle, not the driver, but there are still a lot of fees that you could end up paying in this situation–especially if they are at fault for the accident. Check your policy to make sure that another driver will be covered. You might want to consider striking a deal before they borrow the car, to ensure that they will pay for damages, but this is also risky as there are no guarantees that they will pay up when the time comes. Since there are so many things to consider, and so many things that could go wrong, it is not unreasonable to ask someone why they need your car, and make your decision based on necessity. For example, if they really need a car to go and visit a sick relative, you might want to let them use it, but if they only want it to go shopping, you are well within your rights to refuse. Ok, we acknowledge that this is not as essential of a question as the previous ones, but while it may not be a deal breaker, it is worth considering just how ti dy this person is. After all, you don’t want to get your car back and find a junk heap of dirt and old fast food containers!